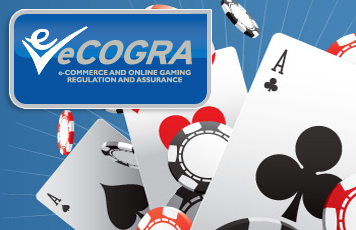 eCommerce and Online Gaming Regulation and Assurance (eCOGRA) recently extended its independent testing, standards and monitoring services to cover Internet bingo, sportsbetting and live gambling operations, positioning its influential Safe and Fair certification seal within reach of most online gambling operators. “This enables operators in these sectors to come forward for assessment and testing with a view to achieving the Safe and Fair eCOGRA seal, already held by some 126 tier one online casinos and poker rooms. “The response to the challenge to meet industry best practice standards and improve operational capability has already been remarkable, and we currently have a significant number of sportsbetting and bingo operations under review. Many of the top software providers in the industry have already been assessed by the organisation, which is recognised by several international online gambling regulators and by bodies such as the European Gaming and Betting Association, which counts most of Europe`s major online operators among its members. Once a company has been accredited it is subject to continuous monitoring and annual reviews, and must comply with eCOGRA requirements regarding the quick and efficient handling of player complaints through the organisation`s Fair Gaming Advocate.